1 But on the first day of the week, at early dawn, [the women who had come with him (presumably Jesus, not Joseph of Arimathea) from Galilee] came to the tomb, taking the spices that they had prepared. 2 They found the stone rolled away from the tomb, 3 but when they went in, they did not find the body. 4 While they were perplexed about this, suddenly two men in dazzling clothes stood beside them. 5 The women were terrified and bowed their faces to the ground, but the men said to them, “Why do you look for the living among the dead? He is not here, but has risen. 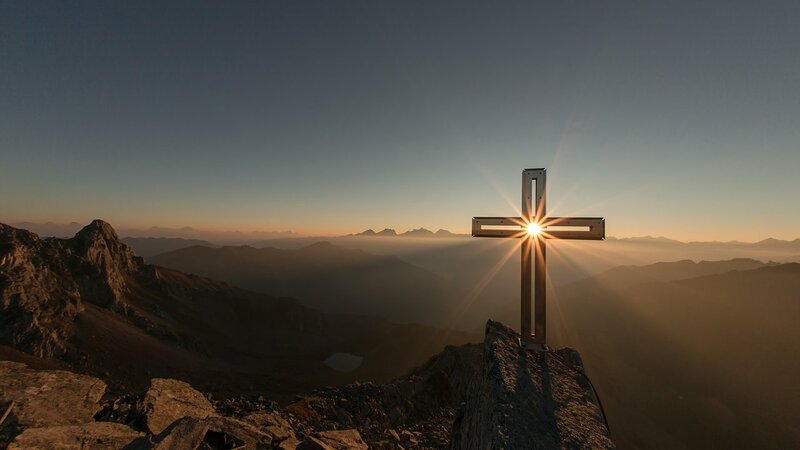 6 Remember how he told you, while he was still in Galilee, 7 that the Son of Man must be handed over to sinners, and be crucified, and on the third day rise again.” 8 Then they remembered his words, 9 and returning from the tomb, they told all this to the eleven and to all the rest. 10 Now it was Mary Magdalene, Joanna, Mary the mother of James, and the other women with them who told this to the apostles. 11 But these words seemed to them an idle tale, and they did not believe them. 12 But Peter got up and ran to the tomb; stooping and looking in, he saw the linen cloths by themselves; then he went home, amazed at what had happened. Luke is careful to make sure we understand the cause of the women’s “perplexity” (literally to be at a loss / to be without the necessary resources). 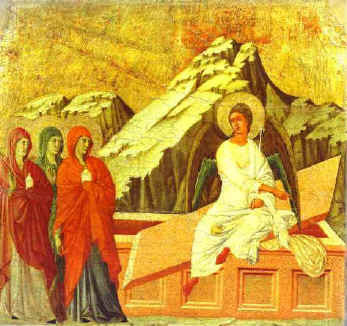 They are perplexed because at the end of chapter 23 these women had gone to the tomb. They had personally seen how Jesus’ body was laid. They knew the location. They knew Jesus had been laid in that particular tomb just the day before yesterday. They are completely at a loss to explain what could have happened; dead bodies do not simply wander off. We, for the most part, start with the same premise: bodies do not simply disappear. Should a body do so, we would have all sorts of theories about devious activity by a third party. Those of us living in the haze of the Western enlightenment and the metanarrative of the scientific worldview do not have the necessary resources to deal with a body that comes back to life. Perhaps the resurrection leaves us at an even greater loss than it left the women at the tomb; at least in their day there was room for debate over the resurrection (cf. Luke 20:27f). This perplexity reveals a general low expectation of God’s activity in the world. Though those of us Westerners who subscribe to one religion or another do lip service to God’s existence, the reality of God is an exception to the rule of our world view(s). So, when the Gospels tell of the signs and wonders Jesus worked in his ministry, a strong contingent of modern Bible scholars would write that off as the superstitious mumbo jumbo of history’s simpletons. 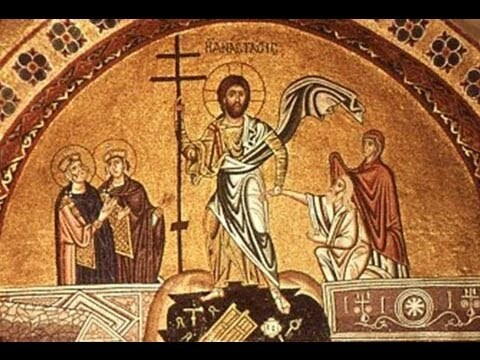 Likewise, the resurrection is written off: “What we really mean when we talk of Jesus’ resurrection,” say such scholars, “is that Jesus seems present among us as the community remembers and adheres to his teachings.” This is a far cry from a bodily resurrection. This is a far cry from a God who is actively present in creation. If you are like me, you can acknowledge all of this in your head and intellectually cling to an active God who is raising the dead to life, but all the while your experience of God in the world is stagnant. Our eyes our clouded over. Daily life trickles by in its usual mundane monotony, and we do not look for a God whose Spirit is actively behind every breath of Creation. When Paul wrote about resurrection in his first letter to the Corinthians, it is as though the Holy Spirit also had our present circumstances in mind: “if there is no resurrection of the dead, then Christ has not been raised; and if Christ has not been raised, then our proclamation has been in vain and your faith has been in vain” (15:13-14). The resurrection becomes a stumbling block. If we cannot make room for God working miracles, then our faith is dead. It will not save. And God is not going to work through such a world view. Such a life is nothing but vanity. Down at is roots, the whole Western conception of the world, the system in which so many of us are enmeshed, renders us blind to God’s salvation. We are left to fritter away our days. Ultimately the Easter gospel proclaims a new reality. With the women and Peter, we are introduced to a new reality where God is actually present. Jesus is not some apparition (v. 37), or a good story for us to be reminded of. Jesus, in the resurrection, shows himself ultimately in real flesh and bones (v. 39). He is not an idle tale (v. 11). He is living proof that God forgives. He embodies a reality in which God resurrects. God delivers his Son from death in the tomb. And, as incomprehensible as that resurrection is to our mortal minds, God can and does comprehend and conceive it. And God does help unbelief. For those of us who have a hard time with faith, God gives the sacraments. In Baptism, God issues a daily reminder that we have been claimed by God. That God is a close to us as a parent is to a child. And that God has raised us up so that we live together in God’s righteousness and purity. And, because we are so hard headed, God attaches the promise to water, so that every time we wash we can be reminded that God did rise from the dead, and if we have been united with Jesus in a death like his, we will certainly be united with Jesus in a resurrection like his. We were blind to God’s present and activity in the world, but now we see. Perhaps what we catch is a glimpse. Perhaps we see dimly. But we get a vision of a world that is different. God breaks through, and our hearts are re-ordered. They are reordered to find fulfillment in that which really satisfies. Our hearts are restless until they rest in God. In getting this glimpse of God for us in Christ, we are filled with faith, hope, love, and other spiritual gifts as well. As often as the gospel of Jesus does its work, we are able to make sense of the resurrection. We can see God’s vivacious work behind every breath, acorn, and mountain. The world is no longer a stagnant thing to the studied, but a living place filled with God (and perhaps the corresponding spirits at war with God). We should maintain a healthy dose of skepticism towards the religious charlatans who claim spiritual prowess as a means for building their own standing. But this skepticism is no longer the deadly one that confines God to the outskirts of the cosmos—a mere onlooker. Instead God becomes an ever-present companion in this world. And it is wonderful, but not inconceivable that God would resurrect the dead. We are no longer at a loss and without resource. I want to be careful to note that science is wonderful. It can study many things and give us much better guesses as to what actually is. It is a worthy pursuit and should be listened to. However, science has limits which I have not often considered by the general populace. Science depends on a meticulous process of carefully controlled experimentation; it is impossible to so control God. But our culture, in a fit of (un)scientific triumphalism, has made assumptions (which the scientific method would never allow) and boldly asserted that the knowledge garnered by science describes all things in the world in their totality. It is this misplaced triumphalism, not science, that renders Westerners dead to the things of God.